It may be hard to believe, especially for those us who grew up in the ’90s watching the movie over and over, but this year marks the 30th anniversary of The Little Mermaid. The animated classic wasn’t just a commercial and critical success, but also one that transformed the fortunes of Disney’s animation studio and helped usher in the era of the Disney Renaissance. 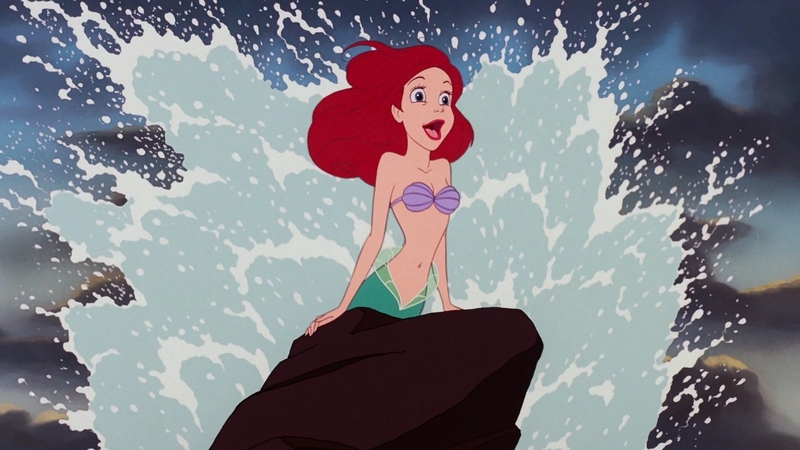 In celebration of the milestone anniversary, BuzzFeed spoke with the voice of Ariel herself, Jodi Benson, on everything from what it’s like singing “Part of Your World” to a new generation of fans, to whom she would want to see play Ariel in a live-action remake. First off, congratulations on the 30th anniversary of this beloved classic — it’s quite the milestone! One of the first questions I wanted to ask is how did you get involved with the film? Jodi Benson: I was doing a Broadway show called Smile with Howard Ashman [who was a Broadway lyricist and playwright] and Marvin Hamlisch, and our show closed, tragically, very quickly. Howard was already working with Disney at the time on The Little Mermaid, and he kindly invited several of us girls to audition for the movie, which was very sweet. I had never done any type of voice acting or anything like that before, so I auditioned. Then I had a callback, and then about a year later I got the call that they had selected my reel-to-reel tape out of all the tapes. Of course, Howard didn’t have any part of the decision as the lyricist, but he was thrilled that I got the role since we had just worked together for three years. So, it was fun, ’cause Ron [Clements] and John [Musker], the film’s directors, were kind enough to let Howard sort of be my director and guide me through the whole film. It was an incredible experience. Sort of following up with that, what was it like to work with Howard Ashman on a project that was so different? You had worked with him in the theater world, but now you were working with him on not only a movie, but an animated movie. JB: Howard was just an absolute brilliant actor and director; he really knew how to handle actors and how to communicate with us. He knew how to bring the best out of me. It was so perfect ’cause we had just worked together, so it was really comfortable to stay working with him, and I understood everything he was saying to me, and I could get across and communicate through my voice what we needed for this particular film. We actually approached it like a Broadway musical, and that was very helpful for me — so that I could make the transition to acting just behind the mic. Howard was by my side, guiding me every step of the way. 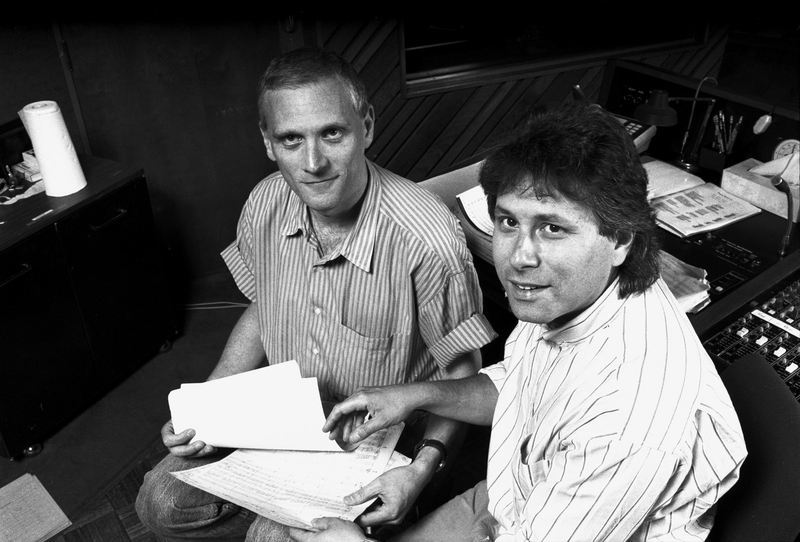 Left: The Little Mermaid’s lyricist Howard Ashman (left), who also produced the movie, alongside the film’s composer Alan Menken (right). Right: Publicity photo of Jodi Benson, 1989. JB: No, I did not. Everything was quite a surprise and quite magical, because the studio was not in a very great place, as far as animation went, at that particular time. The animators had moved off the Burbank studio lot to another location nearby in Glendale [California], so I had no idea that so much was riding on this particular film to create this renaissance. So when it all happened and they decided a few weeks before the film’s release to send the cast out on a press tour — actually announcing who the voice actors were — and publicize us, it was all just a huge surprise. I think the fact that there were [for me] no expectations and everything was just a gift on top of it made it really wonderful. Here we are for me, 34–35 years later with the company, and I couldn’t be happier. You touched on this — Disney had a period where its animation was struggling — it was something that had started in the late ’60s, after the death of Walt Disney, and went through the mid-’80s, where it was very, very slowly starting to climb back with films like Oliver & Company and The Great Mouse Detective. Were you scared that The Little Mermaid wouldn’t be a hit, seeing how the studio hadn’t had a great track record at the time? JB: Well, it was interesting because I was a Broadway performer and my focus was Broadway. In fact, I was doing a Broadway show while I was flying back and forth to LA to do the voice work. So I didn’t really have any skin in the game, shall we say. I mean for me, again, doing animation voiceover was not a good job back then in the ’80s, so I was just quietly doing this job, earning a paycheck, and just having this great experience. There was no pressure for me because I just went right back to New York and to do eight shows a week. So, I never assumed anyone would even know that I was in the movie. It was lovely to not have any pressure on me. What is your favorite memory of making the film? JB: It would definitely be recording “Part of Your World” with Howard. I just have really fond memories of that. Such a beautiful song, and I loved his interpretation of it and his direction of it with Ron and John. So those days in the studio are for sure my fondest memories. So, I take it it’s safe to say that was your favorite song to sing in the film? 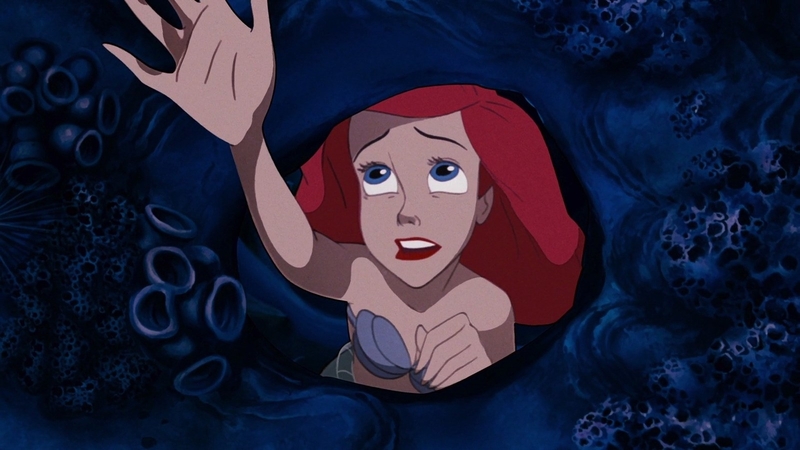 It’s become sort of infamous movie lore that “Part of Your World” was almost cut from the movie. JB: Yes, yes it was! Jeffrey [Katzenberg] (who was then chair of Walt Disney Studios) explains that story and it’s quite funny, he says, “Like that would have been the gravest mistake of my career if I had cut that.” I think Howard was like, “There is just no way that that’s happening. She has to have an ‘I want’ song, otherwise you can’t fall in love with her and root for her the rest of the film. We have to have this song in.” Had we not, we probably wouldn’t be having this conversation today. The fact that I’ve been singing “Part of Your World” ever since, every weekend practically, I love it. I love the song, and I don’t get tired of it — I am very grateful that I have such a beautiful signature song to share. What’s it like to be singing “Part of Your World” now, not only to an entire generation of adults who grew up with it, but now their kids as well? JB: It’s an iconic song because it is so beautifully written as far as the lyrics go, as well as the music. But it’s really a monologue that happens to be put to pitch, because it moves the story along and because it’s so important for the storyline. I think that’s why people make such a connection to it, because it’s not just a song. Also, I think it’s a perfect combination of a story/song, which is why I think kids connect with it. I think it’s a song that will live forever. Was there a scene or song that was in the early part of the script that was cut that you wished had made it into the film? JB: Not that I know of. Pretty much everything I recorded stayed in — I’m not exactly sure [about other scenes] ’cause I did all of my recording by myself. And the table reads we did with the entire cast was pretty much the final product. There wasn’t a lot of change. Do you remember what your reaction was or where you were when you saw the complete movie for the first time? JB: I saw the screening on the lot and it was very emotional. It was quite the emotional rollercoaster for me because I had not been in the booth when they made [my voiceover] selections — you really have no idea how it is all being placed together because you’re doing line by line with no sense of continuity. Howard was like, “You’re going to like some things and you’re not going to like some things. You’re just going to have to trust the fact that we made the best choices to tell the story,” and they were absolutely right. A couple of minutes into it I forgot it was me and got caught up in the movie, and that’s a good sign of a film. So over the years you have continued to provide the voice of Ariel in many other projects, but last year you returned to voice Ariel in Ralph Breaks the Internet — did you ever think you were going to come back to the big screen as the voice of her? And what was it like working with the voices of the other Disney Princesses and putting a spin on it, the whole genre? 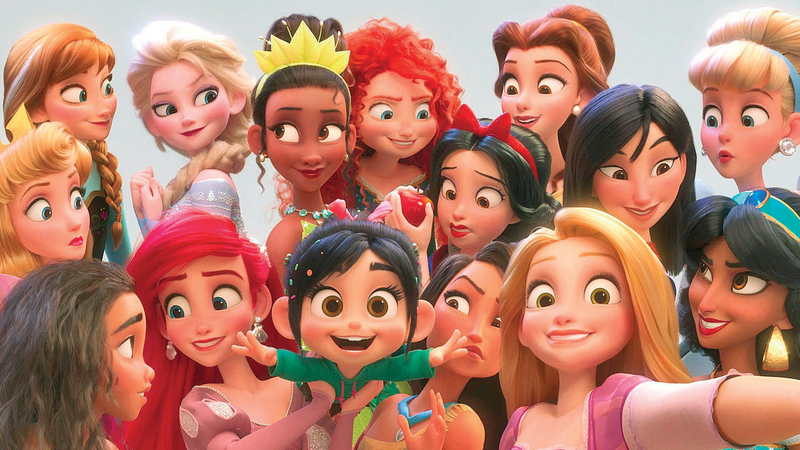 JB: It was a brilliant idea for Rich [Moore], Phil [Johnston], and Clark [Spencer] to put together the princesses in Ralph Breaks the Internet. I never knew if Ariel would make it to the big screen again, so it was a wonderful surprise. Great for us girls to gather together, we recorded separately of course, but Rich is an amazing director, very much like Howard, he played all the parts, and played them all beautifully. But I loved that we [the Disney Princesses] have been taken out of our elements, out of our films, out of settings, and blending us all together into kind of a real world…it also creates an opportunity for a new generation of kids to fall in love with the Disney Princesses again. How do you view and describe Ariel 30 years later? JB: She is an incredible character; she is tenacious, driven, motivated, and slightly stubborn. She can be a little rough around the edges sometimes, but I love the fact that she can dream big and really think outside of the box. I also love how she has the strong qualities of being able to take a stance for herself and also be slightly rebellious. Really proud of the character and really proud of the film. Lastly, Disney has been remaking a lot of their classic animated films into live-action movies. Who would you want to play Ariel in a live-action remake of The Little Mermaid? JB: Oh, that’s a good question! I haven’t really thought of it, obviously I am not really involved in the live-action, but I have heard several names being thrown out there. I guess, for me, I would just really, really love to make sure that whoever they select is a really strong actress as well as a strong vocalist. My hope is that with [if they go with] casting a big celebrity, is that it doesn’t get in the way of the character. That’s one thing I liked about our film is that you don’t necessarily associate the character with a celebrity — not thinking in the back of your mind, Oh that’s so-and-so’s voice — so you just focus on the film and the character. So I would like to see that. I think it would be amazing if they found a fresh new face young girl, who can do it all and kinda blow us away, I would love that. It may be a celebrity and I am sure that is great, but it’s kind of nice to have someone that isn’t already a preconceived idea, I think. Anyways, that’s just my opinion. The Little Mermaid Signature Collection is available now on Digital HD and on Blu-ray.